Posted on October 8, 2018 at 1:29 am. Does the change in season cause you anxiety about the condition of your home in Longview, TX? With proper home interior maintenance this fall, you can prepare your abode for the cold season thus, leaving you with less stress and peace of mind. Learn these indoor maintenance tips to keep your home at best shape for the cold months. One of the most important maintenance jobs to do in preparing for fall is examining your insulation. See to it that the insulation in the attic, floor, and walls are intact. No amount of air should escape or enter these parts of the house to keep warm air indoors. If you suspect an issue in your home’s insulation, contact your trusted HVAC contractor for an upgrade or repair. An inspection guarantees your heating system will perform at its top efficiency. If done correctly by a technician, you will most likely be forewarned of potential issues that may occur in the future. Schedule a maintenance inspection for your heating unit to ensure that it will not fail you on those cold nights. The trick for a comfortable indoor atmosphere this fall is finding the right balance of moisture. You would not want dry air to cause you any discomfort. Thus, we recommend using a whole-house humidifier to assure the right level of humidity not only this frosty season but throughout the year. Not only that dry air affects your health but also causes cracks to your furniture and any structures displayed inside the house. Make sure to check your windows and doors for shrinkage or cracks. Do a close inspection of each section and seal any cracks found to prevent the outdoor air from entering. Insulate them if necessary to make sure that the heat will not escape your home. Look around for unwelcomed guests such as those crawling in your duct system. Pests love to thrive in dark and remote areas like your attic and basement. Use a pest control scheme that works to keep these pests at bay. 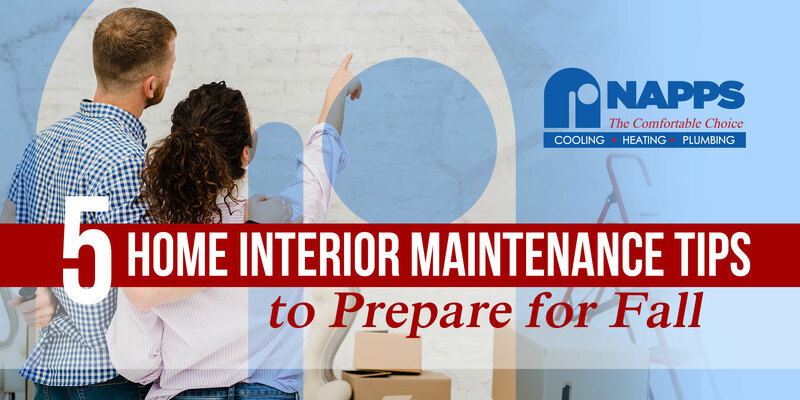 If you are looking for the highest level of comfort indoors, following these home maintenance tips can help you secure a cozy and comfortable environment in your residential space. 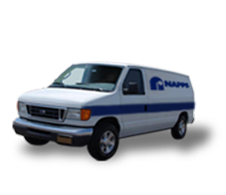 For help and assistance, call us at Napps Heating, Cooling & Plumbing.